Solar panels for caravans and motorhomes are fast becoming the de facto replacement for expensive, environmentally unfriendly generators. 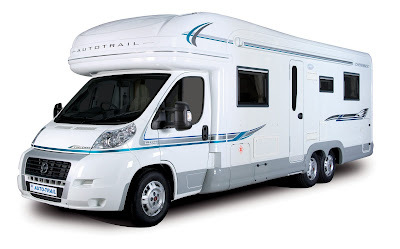 Despite caravan solar panels being available for some years, historically, electricicty has been stored in a deep cycle leisure battery (or bank of batteries), being charged whilst the motorhome engine is running, by using a diesel generator or by plugging into the mains at home or in a caravan park. With energy costs rising to all time highs and wider awareness of the environmental impact of power generation, many people are turning to solar panels to power their recreational vehicles. Solar panels offer a cost-effective and efficient solution to the power problem for caravan and motorhome owners, but the solar industry has often 'over-sold' solar energy as a panacea, as a solution to every problem. Unfortunately, whilst caravan solar panels are a great energy resource, they do have some limitations and it is very important that we use the right products for the job. We also need to accept that we may not be able to power every electrical device at all times with only solar power. So long as we are realistic about what we can and can't do, solar panels are simple to install and offer a raft of benefits. Using this information, we can work out how large a caravan solar energy system we would like to install. One very important thing to remember is that solar panels DO NOT produce their maximum output all of the time; light intensity changes constantly and we are 'blessed' with the British weather. Many of our competitors are happy to sell systems based on a solar panel producing its maximum power rating all year, all day - if this is true, you are most definitely not living in the UK! In winter, we can only expect the best solar panels to produce a maximum of 70% power for 5-hours a day, whereas in summer it is possible to get the maximum for 8-hours. This means that a 200W solar system can be expected to generate 700Wh in winter and 1600Wh in summer. If installing a solar system to meet all your energy needs is unviable, then it is still better to fit something rather than nothing. In truth, we should also take a closer look at our energy usage and try to reduce it - every 1kWh of electricity we produce in the UK produces about 1kg of carbon dioxide. Even if our solar system does not supply everything we need, it will significantly lengthen the time between recharging the batteries as well as significantly increase their operating life. For solar panels on caravans and motorhomes, we always recommend glass-fronted monocrystalline type. They offer maximum power generation and lowest cost. # Our exclusive monocrystalline caravan solar panels are constructed using advanced solar cells which are uniquely connect on the underside, leaving the front free from obstruction as well as being more aesthetically pleasing. Our panels also have a special backing material which reflect light back into the solar cell. The result is a solar panel that is up to 50% more effectient than cheaper panels, meaning a much smaller panel producing the same amount of energy. They also perform far better in low light conditions and are significantly less affected by high temperatures. The solar panels need to be connected to a charge controller which, in turn, controls the battery charge voltage and prevents any damage to them. For 90% of all installations, a mid-range controller (such as Steca or Fox) is perfectly adequate and cost-effective. For larger installations, or where energy production is absolutely vital, we may choose an MPPT controller, which is more efficient, but significantly more expensive. Motorhomes typically have two batteries (battery banks); one for the starter motor and one as general energy storage. We recommend using a 'dual system' charge controller and that 5-10% of the charge is used to maintain the starter battery, with the remainder charging the main battery bank. For caravan solar panel systems, this split charge is often unnecessary and so we can use a more cost-effective controller. Installation of the solar panels is very straightforward and only a little DIY knowledge is required. Some caravan / motorhome companies insist that mounting panels directly to the roof material is OK, but we recommend using mouting brackets. Spoiler mounts or corner mounts raise the panel 5-10mm from the surface which allows air to flow around the cells, keeping them cooler and maintaining maximum performance. The easiest way to mount panels on a caravan or motorhome is to use Sikaflex to fix polycarbonate or metal mounts to the vehicle and then screw the panel into the mounts. There are many mounting solutions on the market, although we only supply and sell mounts that have been approved by TUV in Germany for use up to 130km/h. In short, solar energy for caravans and motorhomes is a useful and desirable solution to power problems - we just need to be realistic in our expectations. It may seem a little complex at first and this is why we are committed to providing the best advice to anyone who needs it. Our CCRES section contains a lot of useful information and you can get in touch with any of our team if you would like to ask any questions.